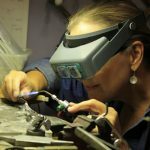 Bruce G. Weber Precious Jewels is looking for experienced bench jewelers for our Tulsa location. Successful candidates must be proficient in all bench skills including but not limited to welding, setting, and fabrication. 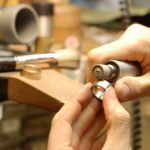 Potential for the successful candidate to work on custom jewelry pieces. Previous bench experience in retail and/or wholesale setting is required. Bruce G. Weber Precious Jewels is a part of Diamond Cellar Holdings. Diamond Cellar Holdings is a family of three of the finest jewelry stores in the United States. 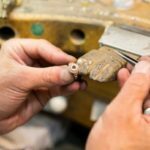 Each store has its own unique heritage, but together they represent almost 150 years of history in the jewelry business. Diamond Cellar Holdings has 6 stores located in the Columbus Ohio, Tulsa Oklahoma, and Houston Texas areas. We represent some of the finest brands in the world. It’s a long way from our humble beginning as a trade shop serving other jewelers in Columbus, Ohio. But through it all, one thing has remained the same. We have always strived to offer the finest service available. 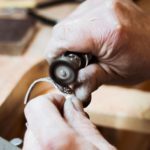 Whether it’s in sales, custom design or repair, you’ll deal with some of the most talented and highly trained people in the country. 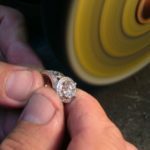 Our sales associates are highly trained, earning degrees from the Gemological Institute of America, and many of them are Graduate Gemologists. 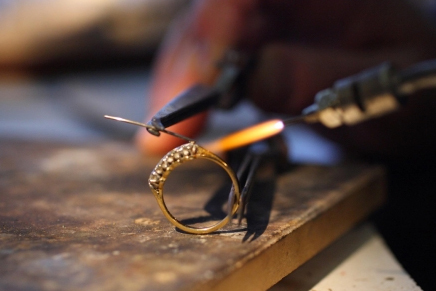 Our roots are in the goldsmith trade, and it’s an area of the business we have steadily grown. 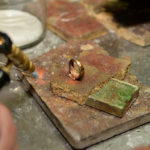 We manufacture much of our own jewelry right here in our store, using the finest materials and craftsmanship. From setting an engagement diamond to a full-blown custom design, your jewelry never has to leave our store. 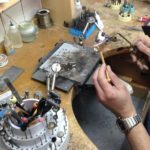 In addition we offer in-house watchmakers who can service most of the major Swiss brands. Our culture and core values focus on serving our customers and each other as a part of The Diamond Cellar Family.